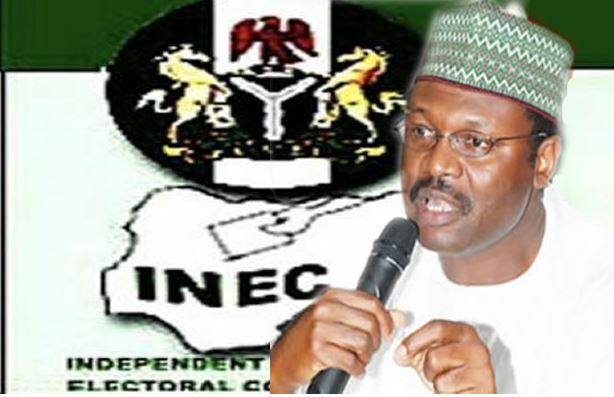 The Independent National Electoral Commission (INEC) said it would wait for the final outcome of court cases in deciding on Peoples Democratic Party (PDP)’s candidate for the governorship election in Edo. Mr Nick Dazang, Deputy Director, Voter Education and Publicity, INEC, disclosed this in an interview with the News Agency of Nigeria (NAN) on Friday in Abuja. The two factions of PDP led by National Caretaker Committee Chairman, Sen. Ahmed Markafi and disputed National Chairman of the party, Ali Modu Sheriff, conducted separate primaries to pick candidate. The Makarfi’s group, supported by all organs of the party, including the Governors’ Forum and the Board of Trustees, conducted its primary on June 20 in Benin and elected Osagie Ize-Iyamu as candidate. On June 29, in another primary also in Benin, but was not supervised by INEC as required by the Electoral Act, Sheriff’s faction picked Matthew Iduoriyekwemwen as the party’s candidate for the Sept. 10 election. Insisting on final pronouncement of the court of the issue, Dazang said, “as at now we have not received the certified true copy of the July 4 judgment of a Federal high Court, Port Harcourt, on the matter. He said that the commission would studying the judgment and then seek advice from its lawyers before taking a position. He added that INEC is still waiting for the last judgment which was on July 4. “It will be like from next week by the time we receive them and when the commission sits, a position will be taken. “It is when the commission has done that that it will then decide on any faction or candidate it is going to accept.’’ Dazang said. It will be recalled that Justice Okon Abang of the Federal High Court, Abuja had on June 30, affirmed Sheriff as the PDP National Chairman and ordered INEC to recognise any candidate presented by him. But, a Federal High Court in Port Harcourt on July 4 held that the May 21 national convention that removed Sheriff as chairman and constituted the National Caretaker Committee was duly constituted. In the judgment, Justice Abdullahi Liman, declared that the appointment of the caretaker committee to oversee the party’s affairs was legal and in line with the provisions of PDP Constitution.